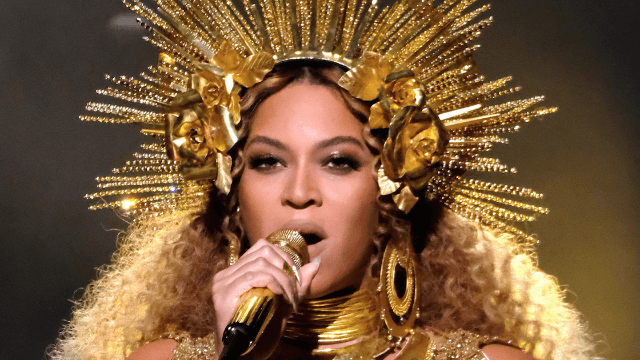 Beyoncé might play a beloved 'Lion King' character and fans are freaking out. According to Variety, Beyoncé is director Jon Favreau’s top choice to voice Nala in the upcoming live-action reboot of Disney's The Lion King. She's pretty much everyone's top choice, to be fair. As of right now, Beyoncé has not officially accepted the part. However, Favreau has made it clear that since it is only a voice-acting role, the studio is more than willing to be flexible and accommodate the Grammy winner's schedule. Back in February, Beyoncé broke the internet when she announced that she and husband Jay Z are expecting twins with this now iconic pregnancy photoshoot. Donald Glover is currently signed on to voice Simba and James Earl Jones is reprising his role as Mufasa. Honestly, the only thing that could make this cast more epic is the addition of the Queen Bey herself. The Bey Hive right now. Of course, Twitter is excited at the mere prospect of having Beyoncé voice one of their favorite childhood characters. Hey, Jon Favreau! If you really want the internet to flip out, you will let Blue Ivy voice young Nala. That would be epic.